2011 has been a great year. Of course there have been ups and downs and for some celebrities the year has been stressful. For these deserving individuals we suggest a hot tub for 2012. Others have made the year tough, for themselves – NO HOT TUB FOR YOU. See who made our year end top hot tub deserving celebrities list. Nothing relieves stress, headaches, and tension better than a Bullfrog Spa and nobody has more stress than a working mom. Add to the fact that she’s a mom of 6 and a movie star, the fact that she tries to save the world everyday (by adoption or otherwise) and you see why Angie deserves a hot tub. It has to be a big one for her and all those kids. Luckily, Bullfrog Spas makes a roomy 8 person hot tub, perfect for Angie, Brad, and all the kids. Angie – YOU DESERVE A HOT TUB FOR 2012. Going into 2011 Nobody had accomplished more in tennis than Roger Federer. With youngsters like Rafael Nadal and Novak Djokovic becoming nearly unbeatable, Roger could easily have retired or cut back his schedule in 2011. But that wouldn’t be right for this winner of 16 Grand Slam Titles and the epitome of class in athletics today. Instead Roger played some of the best tennis of his career. He made the finals at the French the semifinals at the US and Australian, and the Quarters at Wimbledon. Sure, no grand slams this year, but Roger finished off the year by winning the ATP Tour Finals and three other titles. Of course hot tubs are the perfect place to recover after difficult work outs, tennis matches, or entire 2-week tournaments. Roger you may not be number 1 but – YOU DESERVE A HOT TUB FOR 2012. Nothing makes one feel younger than some rejuvenating and relaxing spa time. Looking at this image of Demi Moore there’s not much more explanation needed about how her year has gone. It would appear that Demi is in need of some relaxing hydro massage time in a Bullfrog Spa. Demi, sadly, you had a tough year and probably don’t deserve the attention, instead – YOU DESERVE A HOT TUB FOR 2012. Speaking of hot tubs healing the effects of time, Regis must already have a Bullfrog Spa in his backyard. He is 80 years old but maintains the energy of an 8 year old. It looks like he can afford it as well. Here’s for all the years of entertaining America and staying young while doing it. Regis – YOU DESERVE A HOT TUB FOR 2012. You still rock! (I actually finally saw U2 this year on their U2 360 World Tour after having tickets for a canceled tour date in 2010) People may not know that U2’s cooler-than-pretty-much-everyone lead singer, Bono, had serious back surgery to repair an injury he suffered while rehearsing for the U2 360 World Tour in 2010. 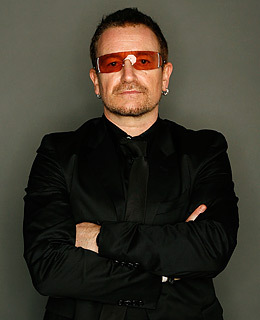 Bono was out more than a year recovering and getting himself in shape for a world tour and came back almost as good as ever. His new surgically repaired back is even better than than the real thing. Hot tubs help one recover after these types of injuries, so, for coming back and rocking, Bono – YOU DESERVE A HOT TUB FOR 2012. 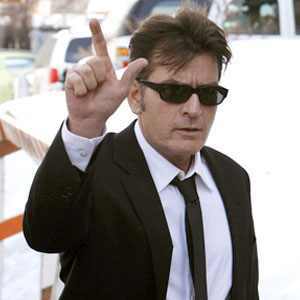 What can we say about Charlie Sheen and the year he has had? I guess we say thanks for the entertainment for lack of a better phrase. You had us laughing much harder, shocked much more, and eventually pretty much just crying more than we ever have in response to one of the characters you play on TV or in movies. Winning, is not what you’re doing, hate to break that to you. Charlie, you’re basically a train wreck and because hot tubs are not allowed on trains (to our knowledge) – NO HOT TUB FOR YOU! You were pretty good in Punk’d back in the day (and rumor has it that it’s coming back) but there’s just no excuse for making Demi look like that. None. Well, it was always creepy weird to see you two together, but still no excuse. You obviously made some big mistakes in 2011 and even though you seem to be making the best of a bad situation by making hilarious jokes about your ex’s age, we don’t have much more to say, except – NO HOT TUB FOR YOU! Ok, let’s get the inevitable question out there first – how in the world are you still even a little bit famous? You obviously have terrible fake tans, fake other things, no talent, even less intelligence, and even less common sense. You give hot tub hydrotherapy a bad bad name. For proving that you absolutely cannot handle a hot tub, Cast of Jersey Shore – NO HOT TUB FOR YOU! For this, Taylor – NO HOT TUB FOR YOU! 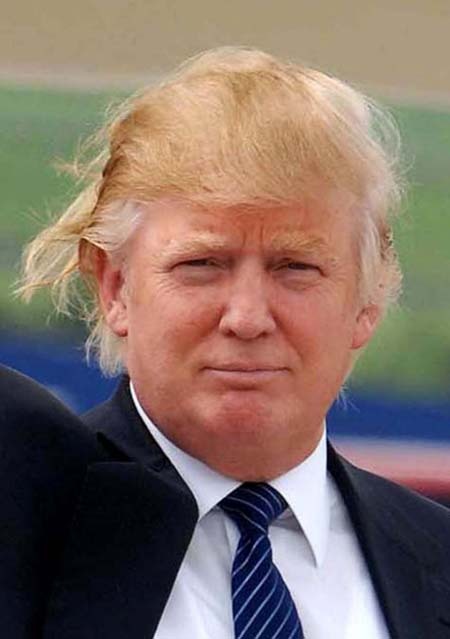 Who would have thought that a man with some sort of creature posing as hair could look more ridiculous? Well, leave it to the Donald to take himself so seriously it hurts us all. So, you want to be President. Really? The fact that a few people take this seriously is surely a sign of the impending Apocalypse. Donald, even though hot tub sanitation is pretty darn advanced and powerful, no hot tub should be made to risk that thing falling of your head and getting sucked into the filters – NO HOT TUB FOR YOU!